This spray is perfectly clear and adds a glossy top coat to your item, allowing the full colour to shine through with a glossy finish. 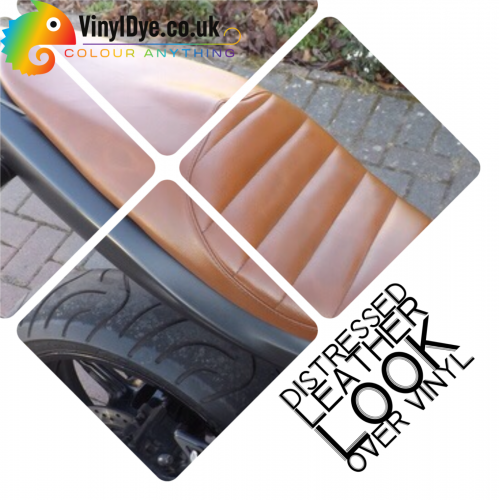 This spray has the same properties as our Vinyl Dyes, in that it works great on many plastics, is flexible and won’t ‘fill in’ details or reliefs, allowing your item to be what it already is, just glossy! This spray is the perfect partner for our Brillo or TRG range of Vinyl Dyes. Simply allow the colour spray to dry completely (takes around 24 hours), then apply this over the top in very fine layers. It usually takes 2 layers to create a full coat. The shine from this is amazing, a true ‘gloss’ finish. Over the top of Brillo or TRG spray, or directly on a product. Many customers have used it on car dash boards, boat dashboards, vinyl seating, many many plastic items, all with great success and really professional looking finishes. See Where To Use Vinyl Dye for more inspiration. This spray is the perfect partner for our Brillo or TRG range of Vinyl Dyes. Simply allow the colour spray to dry completely (takes around 24 hours), then apply this over the top in very fine layers. It usually takes 2 layers to create a full coat. Grison is the parent company of Magix. Grison is a very famous and prestigious brand in France and French speaking countries. Some tins may be branded with the Grison name, others with the Magix name, they are exactly the same chemicals made by exactly the same company, we choose to supply either to ensure you with the quickest service and highest availability of exceptional quality Vinyl Dye at fantastic prices.